Experience Local California U.S. Based U.L. Listed Security Systems Monitoring with Rapid Response - Personal Attention - Experience the Difference - Switch Today! Terms & Conditions • Privacy Statement • iPhone® and iPad® are registered trademarks of Apple Inc. All other trademarks and logos are properties of their respective owners. Part of Honeywell’s family of self-contained wireless security systems controls, Honeywell’s dynamic LYNX Touch has tremendous end-user appeal—with a bright, full-color touch screen that simplifies security system operation. 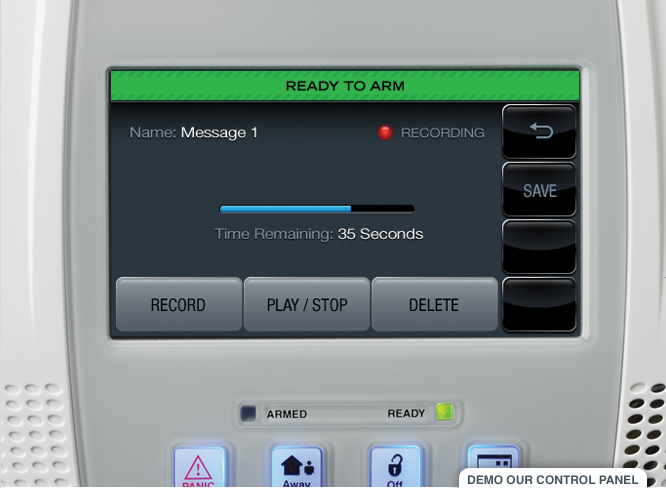 Whether arming or disarming the system, bypassing zones or leaving messages or reminders for family members, the graphics and intuitive, menu-driven prompts make operation crystal clear—reducing end-user training time and false alarms. LYNX Touch supports all Honeywell 5800 Series wireless devices, including the 5828 and 5828V wireless keypads. 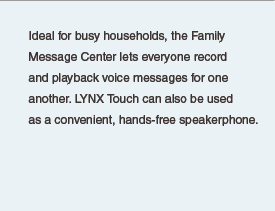 “Follow me” reminder and system announcements; users can be notified by phone of reminders and system events. Supports two end-user phone numbers. With Total Connect, you can help our customers can take advantage of all the amazing benefits next-generation digital technology has to offer - including enhanced communication and the ability to stay connected to their homes and businesses from anywhere in the world.